What is the US Embassy in London? What does the Embassy do and who is the US Ambassador? The American Embassy in London is an important office for visiting American citizens. What exactly does it do? A US Embassy is the official representation of the American government in a foreign country. It’s like a Head Office for the US. You’ll find embassies in capital cities all around the world. The US Embassy in the UK is in London – and the UK has one in Washington D.C.. The US Embassy in London is there to support US citizens if they get into trouble in the UK. If you lose your passport, they can issue a new one so you can fly home or you could fall ill or have a baby unexpectedly and the Embassy will help you out. But there’s a limit. They can’t get you off the hook if you’ve committed a crime but they will ensure you’re treated fairly and give you information on how things work. Replacing lost passports isn’t all the Embassy does though. They also conduct negotiations on behalf of the White House and try to build support in the UK for America’s goals. The President appoints an Ambassador to run things instead. The US Ambassador to the UK is the highest ranking American official in Britain – they’re the personal representative of the President to the British monarchy. It’s an important job. As well as being responsible for the work of the embassy, the Ambassador also acts as a middleman between the British and American governments, discussing issues with representatives in the UK and feeding back to The White House. A typical day for the Ambassador involves lots of meetings. But they also have to give speeches to make sure British people know what the President stands for and what the American government are working on. Helping the Ambassador out is the Deputy Chief of Mission. They look after the day-to-day running of the embassy – and take charge of the Ambassador’s roles when they’re away. The Ambassador’s official residence is at Winfield House, a big mansion in Regent’s Park. It was a gift from the British government. Over the years, Winfield House has hosted loads of special guests, including the Royal Family, visiting Presidents and distinguished Americans, like top judges and even astronauts! The Embassy is offered protection by the Marine Security Guard. Marines are detached to American embassies and government offices all around the world. Their mission is to provide security and protect classified information and equipment. 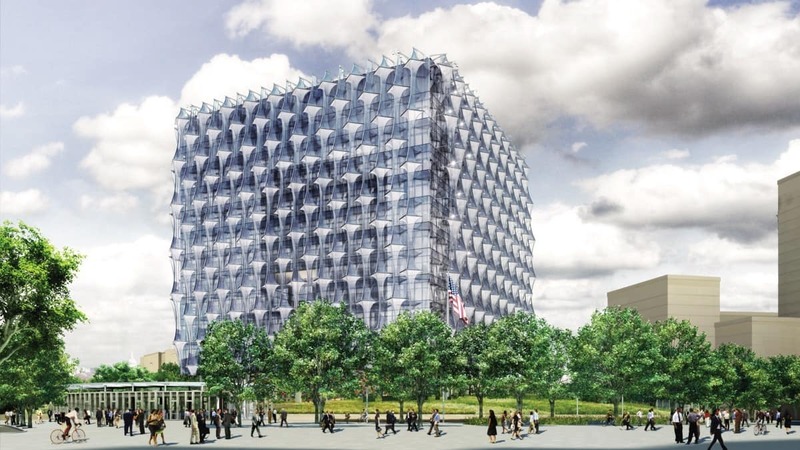 At the moment, the US Embassy in London is in Grosvenor Square in the Mayfair area but the Embassy will soon be moving to a brand-new building in Nine Elms in Wandsworth, close to Battersea Power Station.